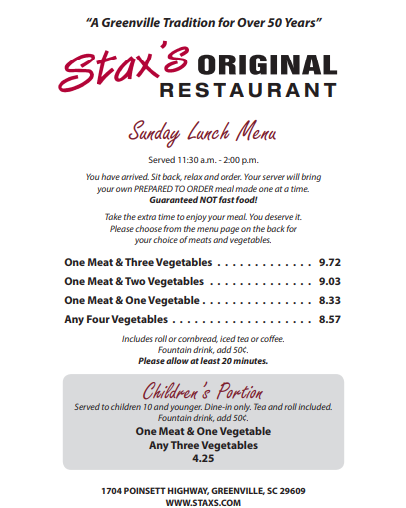 Click for Stax’s Original Restaurant full catering menu. No matter what special event, Stax’s Original Catering has you covered! Ask for Nick or Judy for your catering needs!